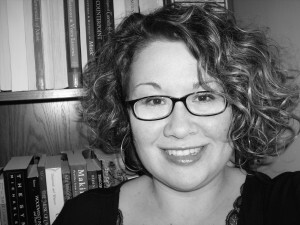 Dr. Colette Simonot is an Assistant Professor of Musicology at Brandon University. She recently completed her Ph.D. in Historical Musicology from McGill University with a dissertation entitled “Unraveling Voices of Fear: Hysteria in Francis Poulenc’s Dialogues des Carmélites.” Before her post at BU, she taught at McGill and the University of Saskatchewan. Currently, she is working on critical interpretations of modern opera that focus on the connection between hysteria and religion. With an M.A. in Ethnomusicology and a strong secondary research area in popular music studies, her interests cover a broad range of repertoires and methodologies. Themes relating to gender and culture thread through much of her writing. Colette has presented on various topics in modern opera and Canadian popular music at meetings of the American Musicological Society, the Canadian University Music Society, Feminist Theory and Music, and other conferences across Canada, the United States, and Europe. She also has an essay forthcoming in a collection called Grassland Sounds: Popular and Folk Musics of the Canadian Prairies.